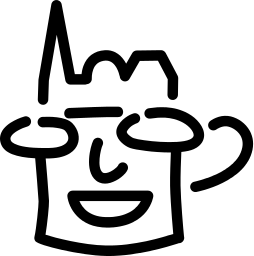 CocoaHeads.org is an international group devoted to discussion of Apple's Cocoa Framework for programming on macOS and iOS. During monthly meetings, members present on their projects and offer tutorials on various programming topics. We are the CocoaHeads Aachen Chapter, hosted by the Media Computing and Human-Computer Interaction Group at RWTH Aachen University. We get together for informal short talks and demos, have a pizza, and talk code. We usually get together on the last Thursday of each month at 7 PM in room 2222 (see below for directions). Sign up for our low-traffic CocoaHeads Aachen mailing list. Subscribe to our iCal calendar. Visit our group on facebook or join the global CocoaHeads group. We meet at RWTH Aachen University, in the Computer Science Center ("Informatikzentrum"), Main Building ("Hauptbau"), second floor, room 2222 (accessible through the staircase in the foyer), Ahornstr. 55, 52074 Aachen, Germany (Google Maps). There is a parking lot in front of the side entrance on Halifaxstraße. Here are some more detailed directions for public transport and cars. The building will be locked around 7 p.m., so just drop in a few minutes earlier to be on the safe side... If you are late, just call +49 241 80 - 21060 so someone can open the door. Swift Conf: August 28 & 29, 2019 (Cologne, Germany) -> get your Early Bird Ticket NOW! Moritz Messerschmidt: "Short Introduction into CoreML / CreateML"
... find the event history on our archive page! We have organized a few NSCoder Night events in Aachen and Cologne recently. These are entirely informal events with no presentations, just a get-together where you bring the project you're working on and talk code with others. Currently, there are no planned events in Aachen. If you know about some meetups in the greater area, just drop us a note so we can mention them! Check the worldwide CocoaHeads home page for additional chapters in Germany and elsewhere!